The Arctic Dolphin 510 drip tip is made of Stabilized Wood, which fits most atomizers which have standard 510 drip tips. It will bring you a new vaping experience! 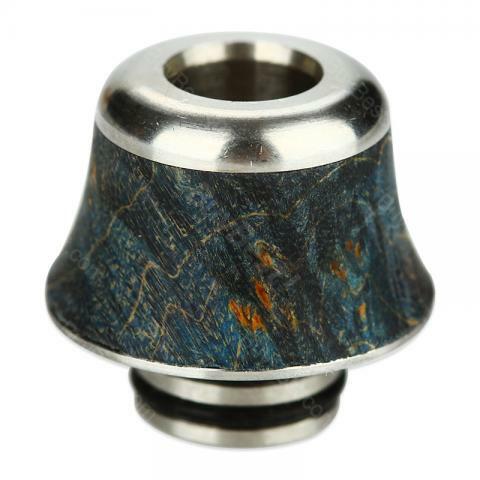 The Arctic Dolphin 510 drip tip is made of Stabilized Wood, which fits most atomizers which have standard 510 drip tips. It will bring you a new vaping experience! A12. • It will suit most atomizers which have standard 510 thread. • Each Stabilized Wood drip tip is unique. We could not guarantee the product has the same pattern and color as that in pictures. We can only ship orders randomly. Hope you can understand. The Arctic Dolphin 510 drip tip is made of Stabilized Wood, which fits most atomizers which have standard 510 drip tips. It will bring you a new vaping experience. Arctic Dolphin 510 Drip Tip Stabilized Wood A12 with Models; 810 A10, 810 A9, 510 A12 Drip Tip. A9 A10 drip tips, 810. A12 drip tips, 510. Made of Stabilized Wood.